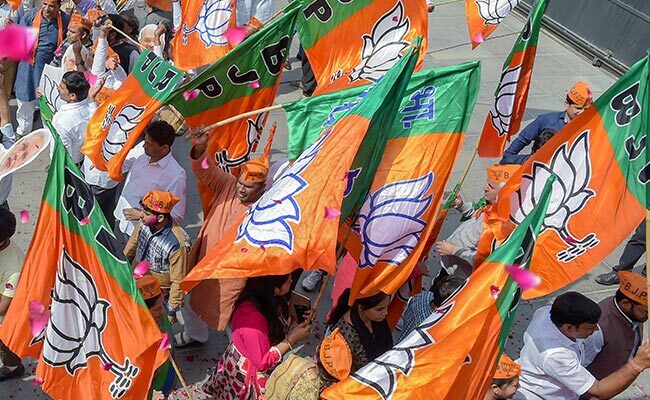 Hyderabad will be renamed as Bhagyanagar if the BJP came to power in the southern state, a BJP legislator said today. Raja Singh, who represents the Goshamahal assembly constituency, said the party will also change the names of Secunderabad and Karimnagar. "Earlier, Hyderabad was Bhagyanagar and in 1590 Quli Qutub Shah came to Hyderabad, he changed Bhagyanagar to Hyderabad... We are planning to rename Hyderabad," Mr Singh said. "In Telangana, the BJP will win a majority and then our first aim will be developing the state and second objective will be renaming Hyderabad as Bhagyanagar. We will also change the names of Secunderabad and Karimnagar," he said. Polling in Telangana will be held on December 7. Mr Singh said the areas named after Mughals and Nizams will be changed and kept after the persons who fought for Telangana and for the country. His statement came a day after Gujarat Deputy Chief Minister Nitin Patel said his government is considering renaming Ahmedabad as Karnavati. Uttar Pradesh Chief Minister Yogi Adityanath on Tuesday had also announced that Faizabad would be renamed as Ayodhya. The names of a number of cities and railway stations have been changed in the recent past. Apart from renaming Faizabad as Ayodhya, the Uttar Pradesh government also changed the name of Allahabad to Prayagraj. Mughalsarai Railway Station was renamed as Pandit Deendayal Upadhyay Junction.